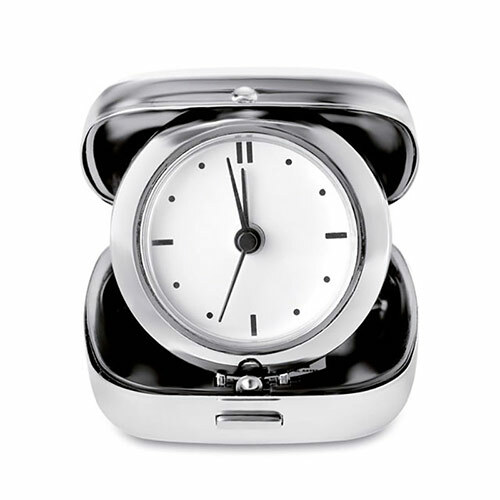 A practical travel alarm clock in folding case, ideal for engraving as corporate gifts or promotional merchandise. These compact travel clocks measure just 65mm x 63mm and are 23mm in height when the case is closed. They can be engraved on the flat lid of the case and are offered here with free text and logo engraving.